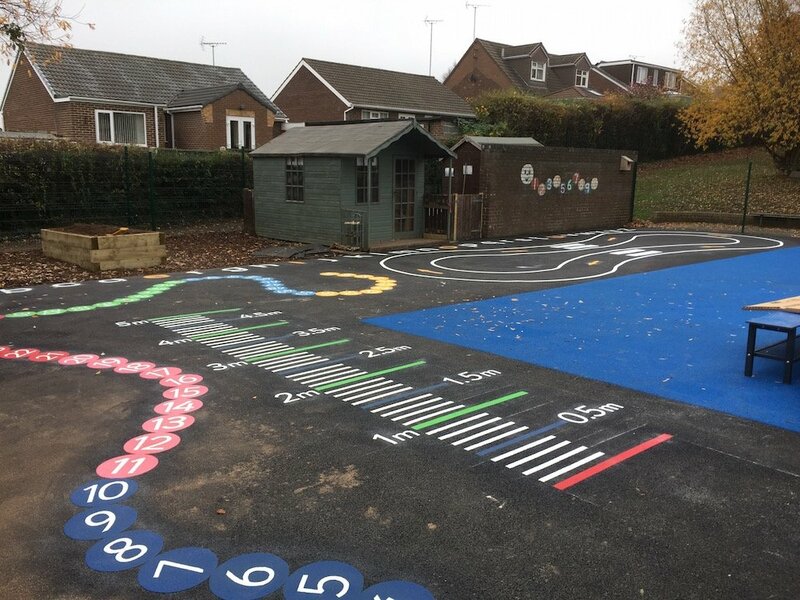 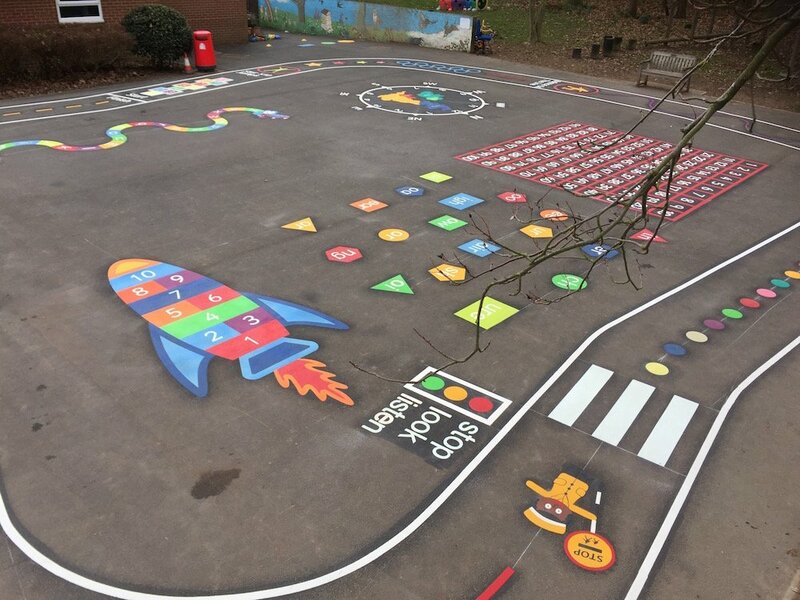 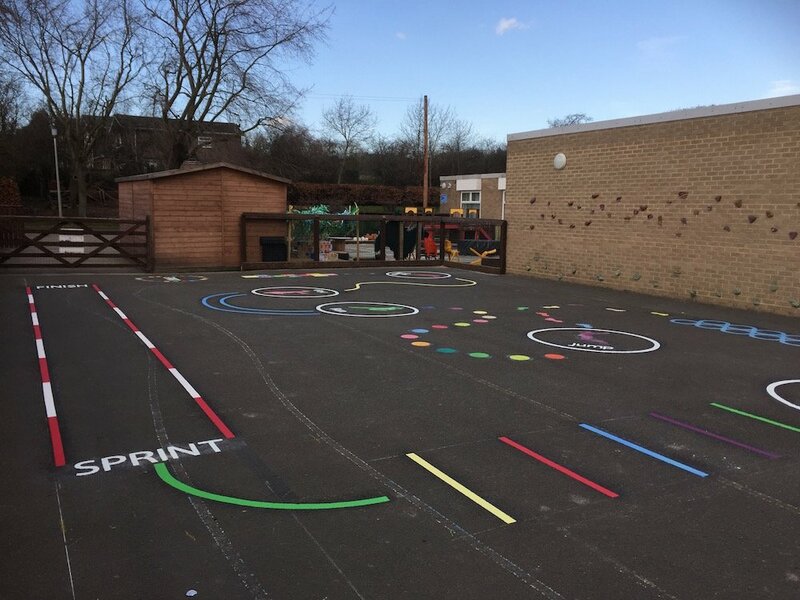 first4playgrounds have just completed another playground marking installation at Archbishop Runcie Primary School in Gosforth Newcastle. 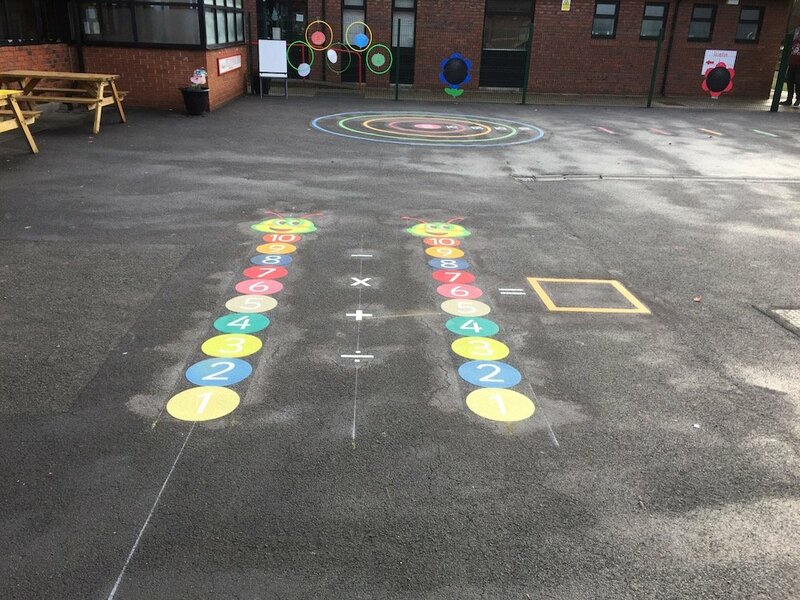 The markings included a UK Map, an activity trail, a 10 x 10 line grid, a sprint line, hopscotch and a smiley face compass clock. 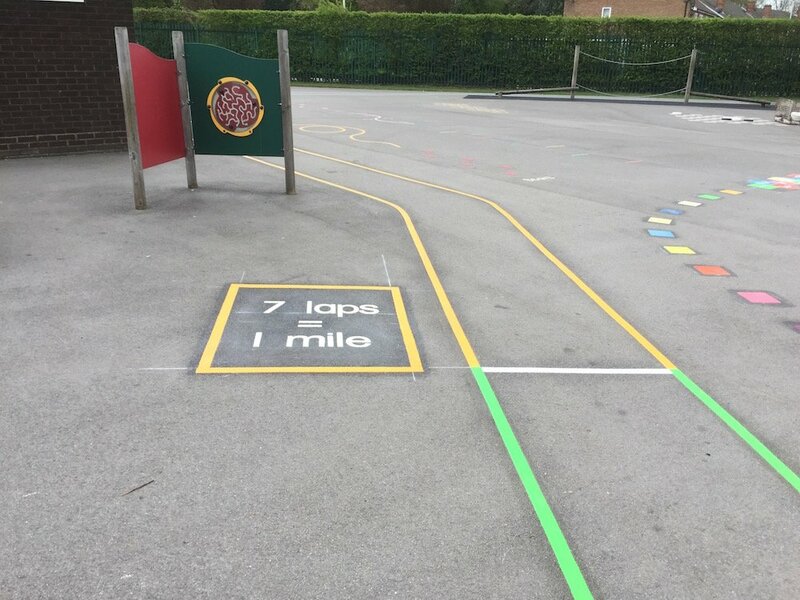 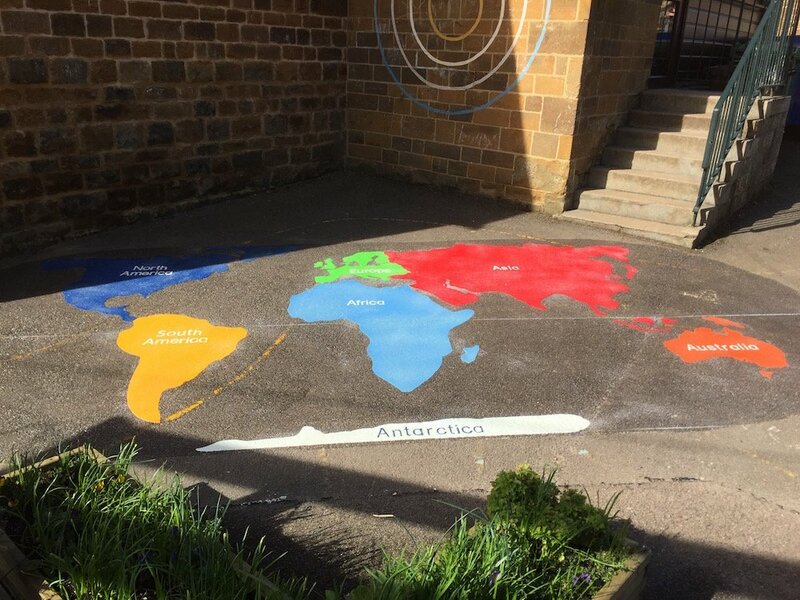 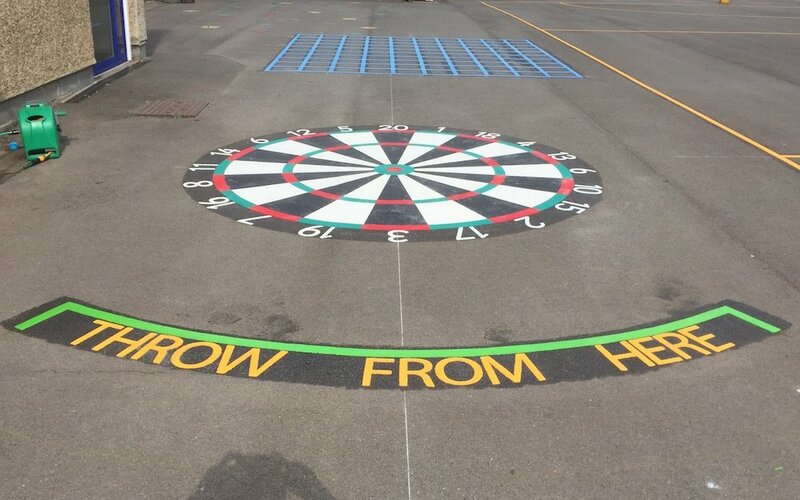 The 10 x 10 line grid was chased by the school to allow versatility in its use, using chalk they can use it as a number grid or a co-ordinated grid.